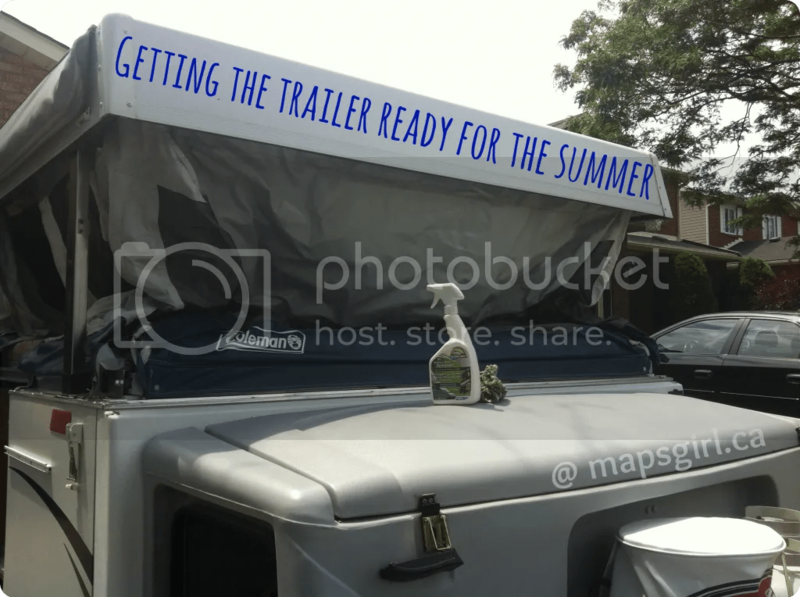 Getting our pop-up trailer ready for a summer of fun! At the beginning of every summer, we pick up the trailer from our winter storage location, bring it home and prep it for the summer. After sitting outside for the winter, the trailer is ready for a good cleaning. 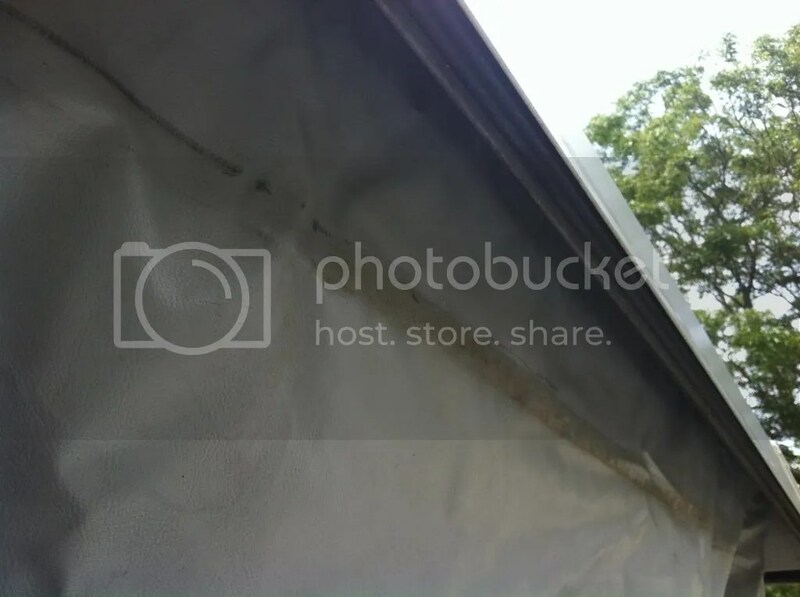 The awning bag usually needs a good scrubbing, especially around the zipper where the fabric can get moldy if it’s not taken care of. The tops of the bed areas always seem to be the dirtiest. Using the cleaner, the dirt gets scrubbed off and rinsed with clean water. At the end of every summer, before we take the trailer to the RV service centre to be winterized, we always clean the inside. We’re sure the wipe down all of the tables and vacuum the seating, beds and floors. Because it’s going to be stored for several months, I’d hate for dirt and dust to get left inside. 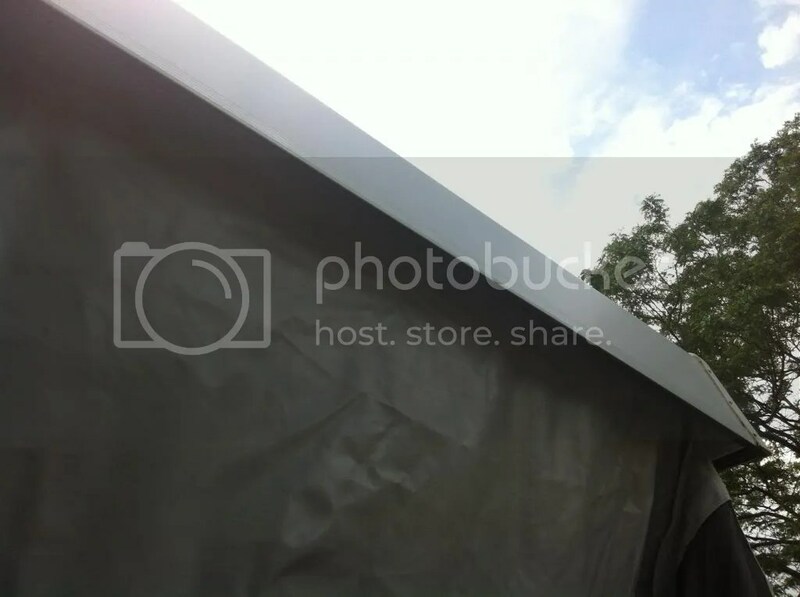 When we open the trailer, everything gets wiped down and windows are opened to air it out. Electricity is the easiest part of the testing process. 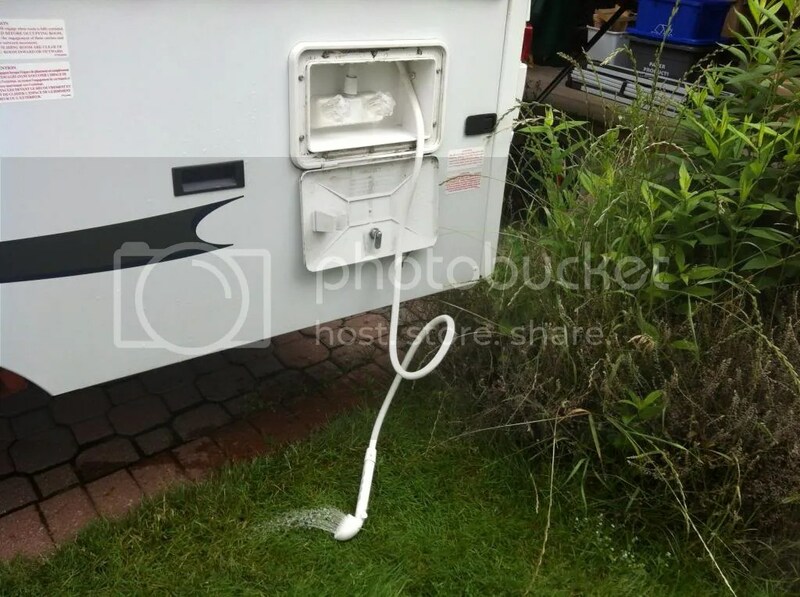 Connect the trailer to the outlet in the garage using an extension cord, and when the lights come on inside, you know all is good. Water is a bit more tedious. 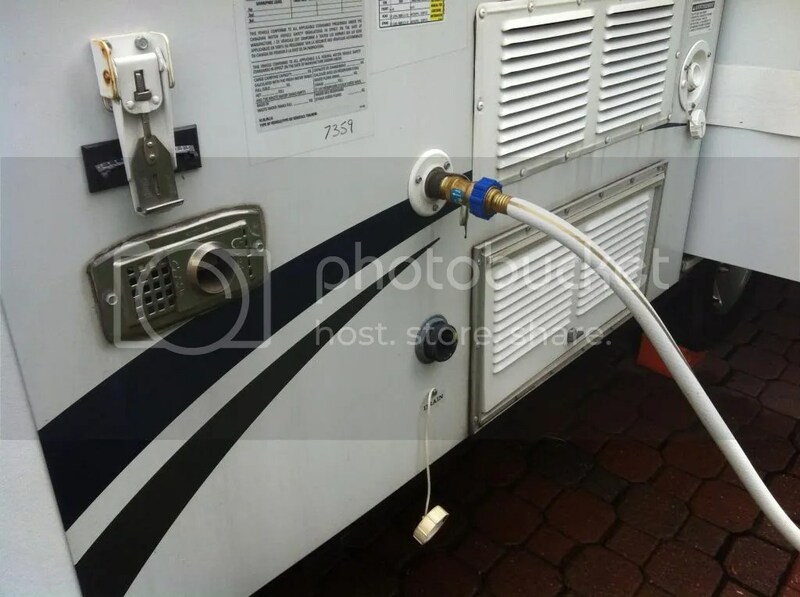 When they winterize the trailer, all of the water lines are filled with anti-freeze. This needs to be flushed out until all the water runs clear. We have a water tank under the trailer that needs to filled and cleaned out as well. 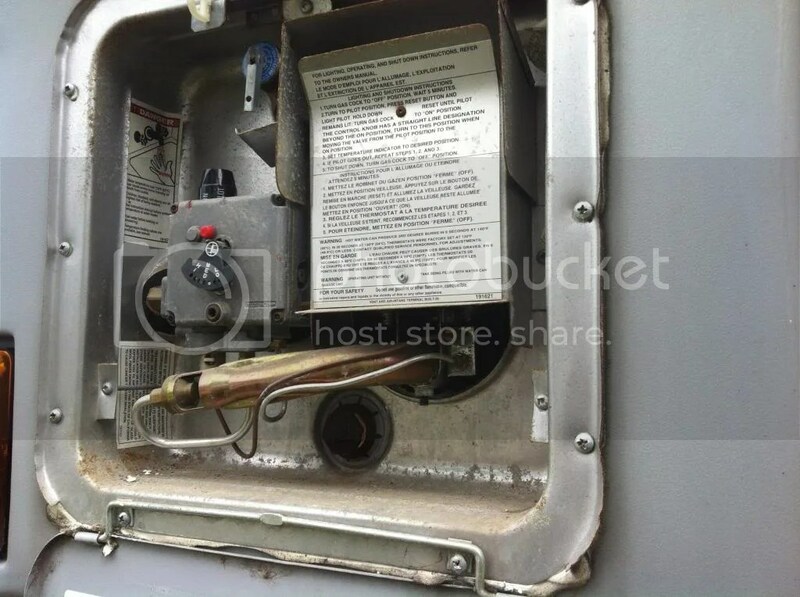 Once the propane is hooked up, the hot water tank needs to be turned on and tested. This always tests my patience. The propane tank needs to be opened and then you have to wait. After about 5 minutes, the switch can be turned to light the pilot light. If the propane isn’t completely through the system yet, the pilot won’t lite and you need to wait a bit longer. Once the pilot lights, then you can turn it on and the water heats up. Once the water has heated up enough, I run the water inside and to finish flushing the anti-freeze out of the system. All lines are flushed, even the outdoor shower. We’re ready to go camping!! 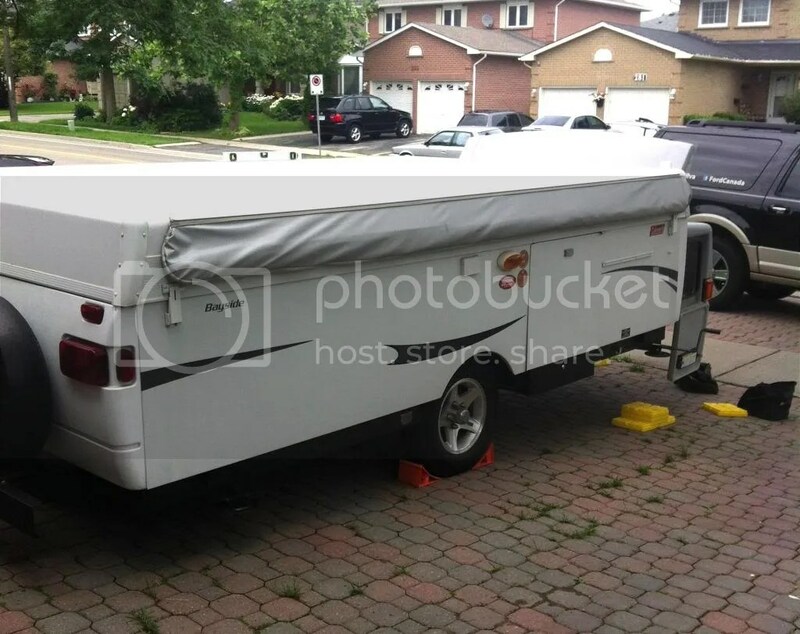 Once all systems checked and working, we load up the sleeping bags, pillows, chairs and anything that will be used over the summer into the trailer. The trailer gets closed up and taken to our summer parking spot. With it being left partially packed, it’s very easy to pack some clothes and food, grab the trailer and run away for a weekend. Do you have a camping trailer?? What prep do you have to do to get ready? ?